Winter sports at Vitosha mountain, Sofia? 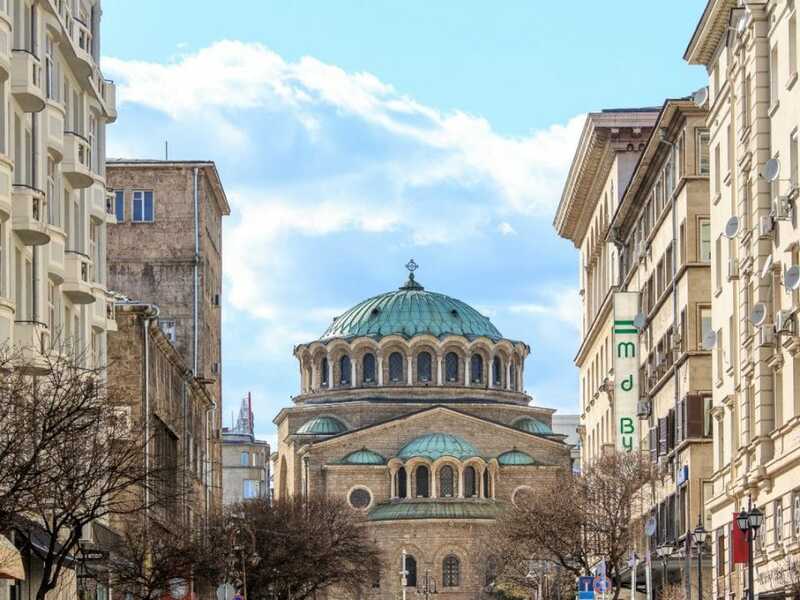 Few of the people visiting and falling in love with Sofia and Vitosha mountain are aware of the city’s longstanding ambition to host the Winter Olympic Games. 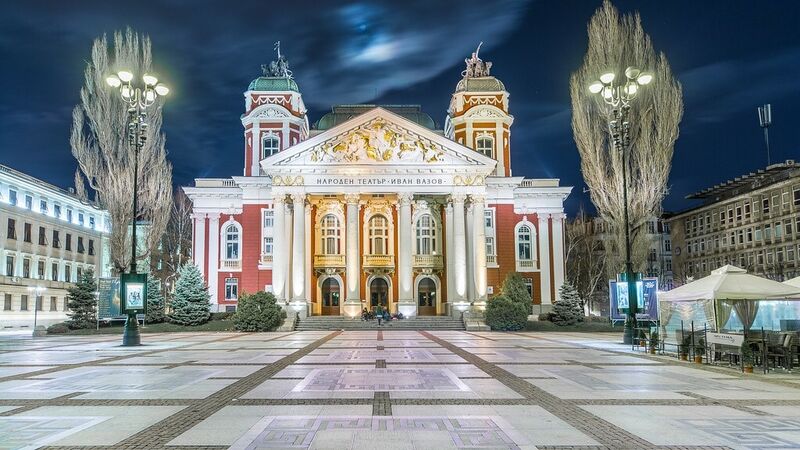 Inspired by Sarajevo’s successful example from 1984, the Bulgarian capital has tried several times to win the competition for Winter Olympics’ host. It came closest in the run up for the 1992 Games by finishing second – only a couple of votes away from the victorious Lillehammer (Norway). 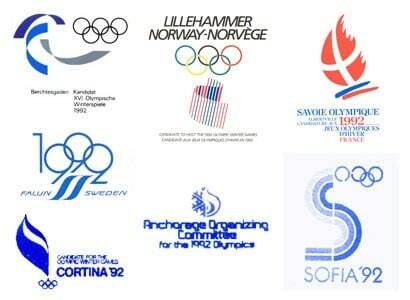 Today, Sofia is a bit further away from fulfilling its Olympic dream. 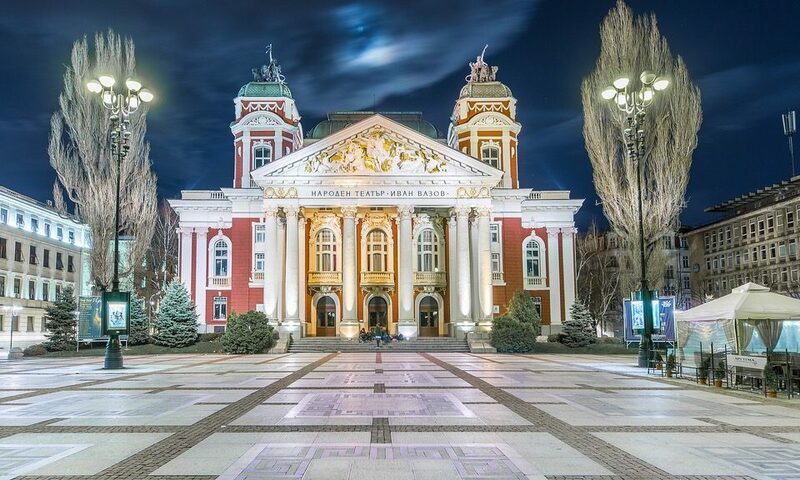 However, the city’s beautiful mountain Vitosha is still close enough. 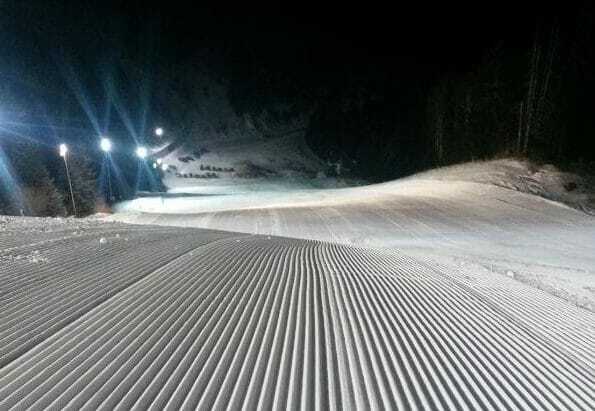 It remains one of the most preferred options for winter sports in Bulgaria. 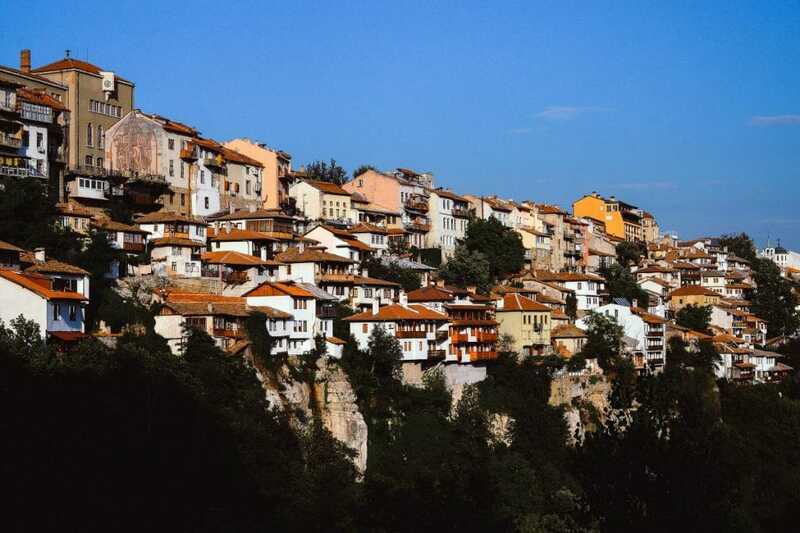 It is located only 30 minutes away from the city center by car. Vitosha mountain welcomes the fans of skiing and snowboarding not only in the winter weekends, but also during the week – at daylight and after sunset. 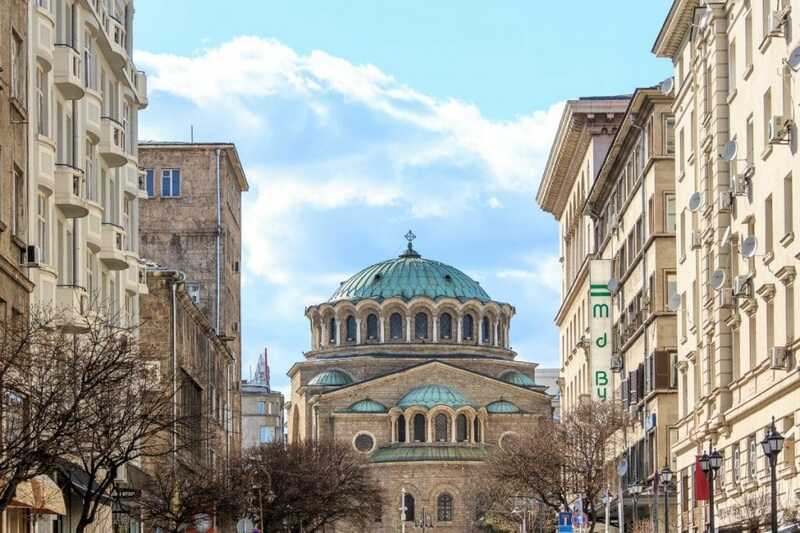 How to ski and snowboard in Sofia and Vitosha mountain? 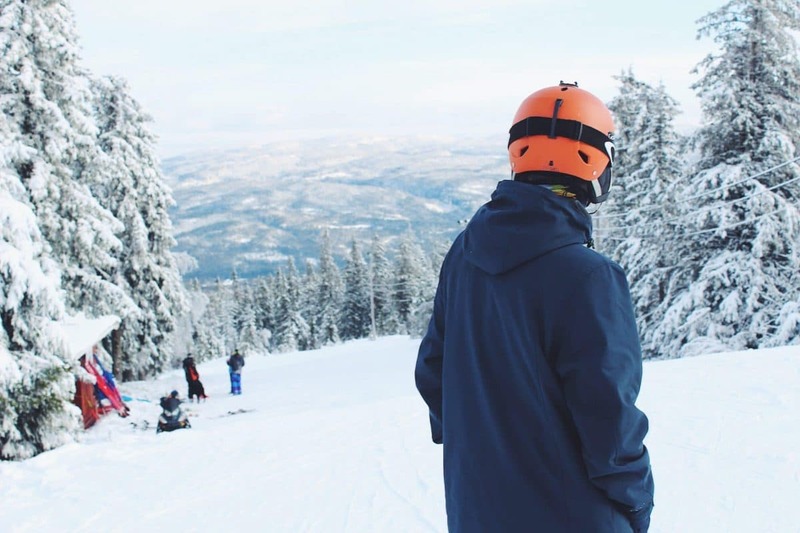 The first and most important prerequisite for skiing or snowboarding in Sofia and Vitosha – the winter ski season must be officially open. This way you’ll know that all the facilities would be available. The winter ski season was officially open on the 6th of January 2018. Hundreds of people are still anticipating their first downhill for the year. *Santa brought us an early present this year – the cabin lift has started working every day since 23.12. Everyone could get a ride and enjoy Vitosha! 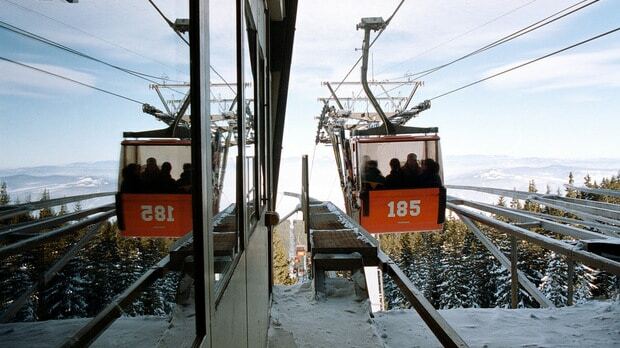 Take a bus (122 or 123) or a taxi to the Simeonovo cabin lift. It is working every day during the winter ski season from 08:30 until 16:30. If you have not brought your skies, snowboard and winter sportс shoes, don’t worry! You can borrow all the necessary equipment at the Simeonovo cabin station right before you jump on the lift. Alternatively, you can borrow your skies and snowboard at the last stop of the cabin lift – the Aleko hut. Either way, the red cozy cabins will take you up to 1810 meters of height where your skiing adventure might begin! Take a bus (93) to the Dragalevtsi chairlift. It works every day during the winter ski season from 09:00 until 16:30. The lift will take you up to Goli Vrah (1818 m.) whose name literally translated in English means…the Naked Peak. Nevertheless, this option is less comfortable and recommended because there is no suitable place for borrowing ski equipment and the trip with the chairlift might feel quite freezing at –10 degrees. Whether your own car, a rented one or a taxi – your journey shall last approximately 30-40 minutes. Exit Sofia’s ring road in the direction of Dragalevtsi. Drive through the main road of the neighborhood. Keep going all the way up to the highest point it would take you to – the Aleko hut. Keep in mind that in winter the road might get icy and dangerous. You need to be extra careful, with well-prepared winter tires for your car. In the winter ski season, Sofia and Vitosha allow you to ski down the speedy white tracks, while the dark of night surrounds you! Follow the guidance from the previous paragraph. The car is the only option available. Do not go all the way up to the Aleko hut. 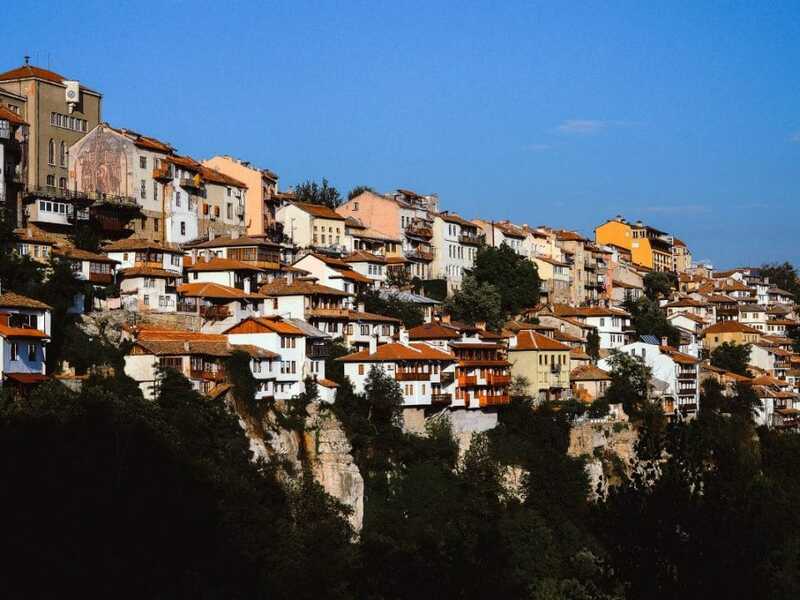 On the 10th or the 11th kilometer after the exit from Dragalevtsi watch for the Hyundai Hotel and exit the main road to the left. 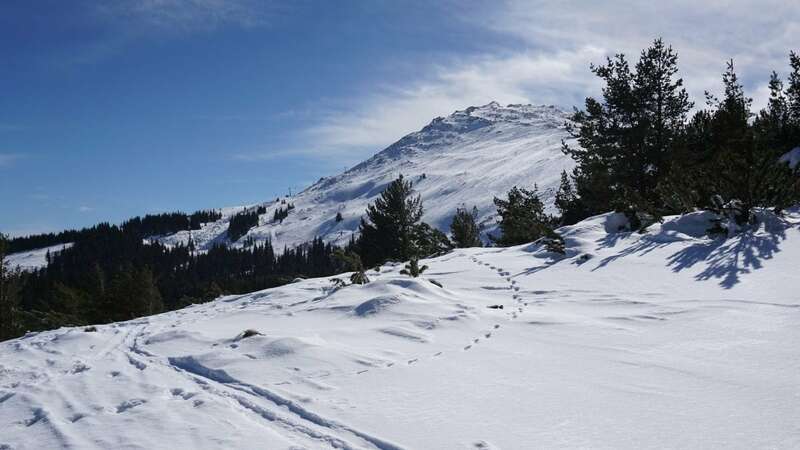 Drive two more kilometers and reach the end point of Vitoshko Lale (Vitosha Tulip) – the most popular ski track around. The night skiing and snowboarding are available thanks to a chairlift which works from 18:30 until 22:00. If you choose this option, however, you must have borrowed your skies or snowboard from Sofia. No place up in the mountain would be open at this time of the night. Not a fan of winter sports? 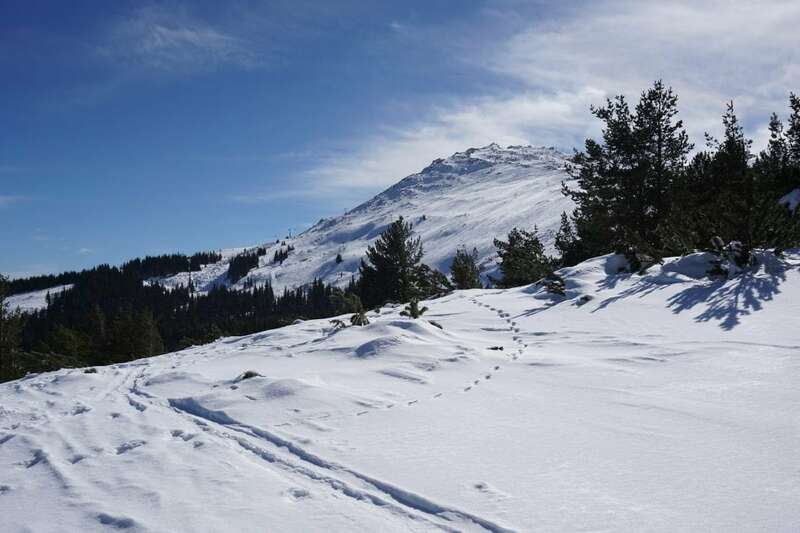 The Vitosha mountain offers countless other hiking and walking opportunities. Here’s how to get there. Just wondering if there are toboggans for hire at Vitosha? Hi there! Yes, you can borrow one from the last stop of the lift – at the Aleko hut. As of this moment the cost is 5lv per toboggan for a full day.